I am currently embarking on a quest to make my entire life as private and secure as possible—while still having a good time and enjoying the fruits of the modern world. In this article, I won’t go into why I am doing this. For that, see my article introducing this endeavor. What I’d like to talk about right now are some pretty high-level things—laying out the ground rules, if you will, for what I’m trying to accomplish. First, let me start by saying none of this is about open source or free software. Licensing of software, while extremely important, is not the focus here. This is about privacy and security and absolutely nothing else. To prove this point, let’s look at a hypothetical situation. Assume a bucket filled with milk that has been sitting in the sun for a week is directly above you. It’s curdled and funky and stinks to high heaven. Two buttons are in front of you. Both are supposed to perform a simple, yet critical, function: to NOT dump the bucket of rotting, terribleness on your head. Easy—but important. Which one do you press? Now, in theory, one doesn’t need to press any button at all. This would seem to be the best way to ensure the what-was-once-milk stays safely inside the bucket (and not all over your head). Just don’t push a button, right? But this whole endeavor of mine is about living in the modern age. It’s about using modern computing devices and communicating digitally. I am obviously going to push one of the buttons. It’s just a matter of selecting the safest button to jab with my thumb. I am going to use only open source (and, when possible, free software) on my computers, phones, tablets, servers and any other computing devices I have control over. This is both easier and harder than many people might think. On the one hand, running a completely open operating system, office suite, web browser and the like is astoundingly simple. 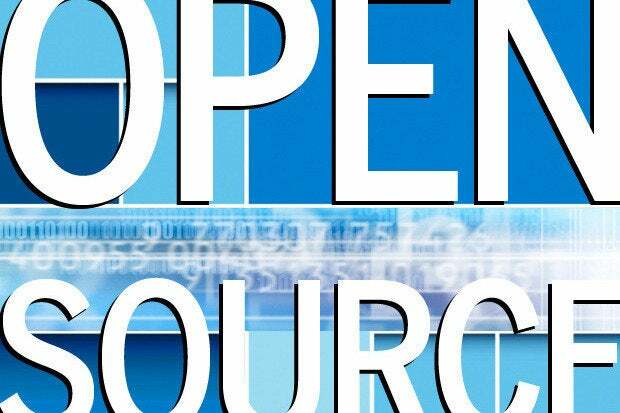 Grab one of the (many) open source (and free software) operating systems (such as Linux), and you’re off and running. At least for your desktop and laptop computers. But when we start talking about something as simple as, say, choosing a platform for sending and receiving messages (text, voice and video), things get a bit more difficult. Let’s say, for example, I choose to use Signal for messaging. It’s encrypted (which is great) and provides a significant amount of source code under great licenses (also great). But their server also has a large amount of proprietary, closed source code (dealing with making voice calls) that I cannot currently get access to. That gives me pause. It is, based on what little I have written here, already preferable over solutions such as Google Hangouts and other, far-more-closed services. But the existence of any code that cannot be vetted, tested and analyzed (publicly) by independent programmers raises a not-so-subtle red flag. So, decision made. Only open source (and/or free software)—at least when possible. And when it isn’t possible, steps should be taken to fully understand both the scope and possible implications of having my data handled by source code that I cannot 100 percent verify the actions of. So many things. So many. It’s almost overwhelming, but I shall persevere.